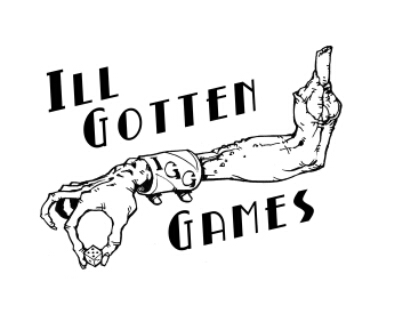 Ill Gotten Games presents a brand new role playing experience with Wayfarer, a game system with multiple setting and world building opportunities for not only the DM, but the players, too. 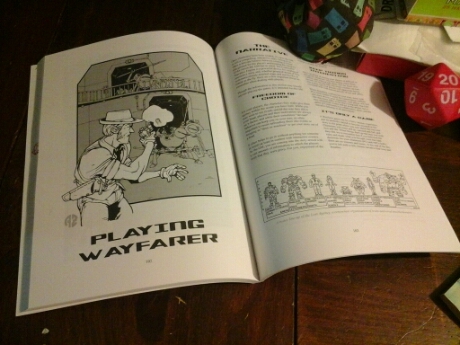 Over the past ten years of development, Wayfarer has been playtested frequently and shown off at various gaming conventions. The core book will be a tasteful black and white softcover, complete with many different races, pre-generated NPCs, spells, and technology. It’s more than enough to create or inspire a multiverse in any fashion you want. From high tech with sci-fi robots to Elf and Dwarf fantasy, and anything in the middle or otherwise, it’s all possible through the core narrative system. 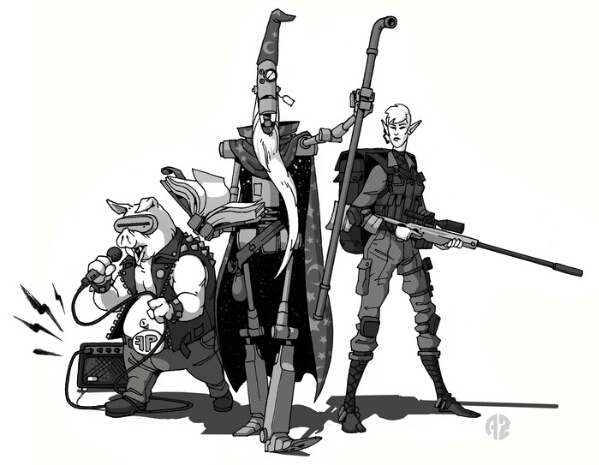 A Pig Rocker, Robo-Wizard, and Elf Sniper ready to dimension jump. 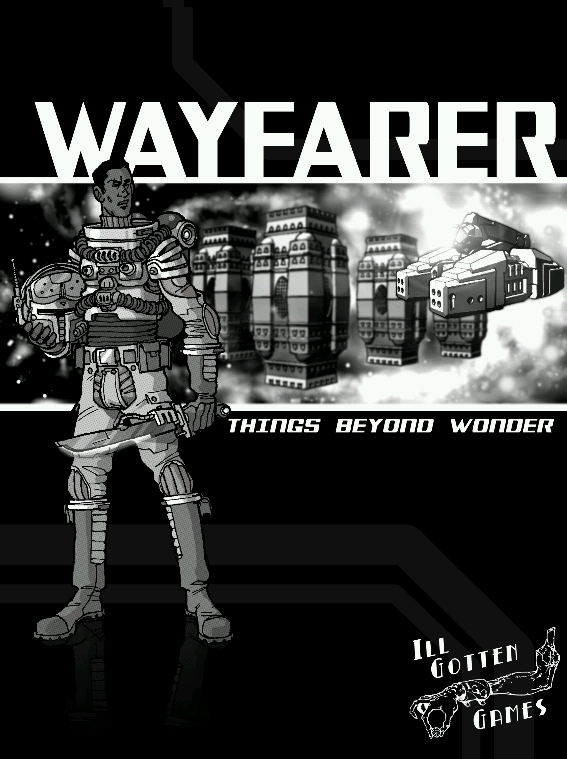 The multiversal platform for Wayfarer is any setting you can imagine. Your campaigns can be crafted of a single setting or slip between (using any mode of transport you prefer) many worlds and even different realities. The multiverse is only as big or as small as you can picture it.